How can you tell if you’ve found your calling? As a doctor who was called to medicine at a young age but then wound up disillusioned by the system, questioning my calling, I’ve asked myself this question a lot. It’s been a long strange trip- first leaving medicine, then feeling called back, then leaving again only to find my role in healing our broken health care system as a writer, speaker, revolutionary, and teacher of physicians. Along the way, I’ve learned a few things about how to know whether you’re on the right track. Even the gritty things, the disappointments, the regrets, and the screw ups, they were all prepping you for what you’re now being called to do. You’ll realize that the divorce, the bankruptcy, the death of your loved one, the failure, the rejection- it was just school, teaching you the lessons your soul needed to learn in order to be who you’re being called to be. You might be tempted to write them off as coincidences, only they’re too perfect, too exactly what you need in that particular moment, too much like miracles to call them accidents. The synchronicities will fill you with a sense of wonder, because they’re proof positive that you’re being guided, that you’re not in this alone, that Someone is moving mountains to ensure that your mission is a success. Doors you longed to walk through will slam shut. If you take the wrong fork in the road, your path will be littered with barbed wire and mustard gas and dragons and sharp knives lining the path. You will get the hint that you’ve made a wrong turn, steering yourself off course from your date with destiny, when the journey becomes a relentless struggle. The deal will fall through. The money will run out. The mentor who’s been providing the magical gifts won’t follow you onto the wrong path. People won’t sign up. You’ll be rerouted just as magically as you were steered to your calling in the first place. When you find yourself struggling to get through an obstacle-ridden forest, it can be hard to tell- is your commitment just being tested, or have you veered off course? Obstacles can be part of the growth process, the cultivation of your inner hero, a necessary part of your hero’s journey. But they can also be signs that you’ve made a wrong turn. How can you tell the difference? The guidepost you can trust is a sense of movement towards ease. If the challenges are mounting, things are getting worse, one hard struggle is piling upon the other, you’ve probably gotten seduced off course from your true calling, and the Universe is just waiting patiently, twiddling Divine thumbs because you have free will, but never giving up faith that you will find your way back to your calling, which will always lead you to your own holy grail. When you’re back on track, things start to flow again. Continued on through sign 10 at – 10 Signs You’ve Found Your Calling | The Unbounded Spirit. 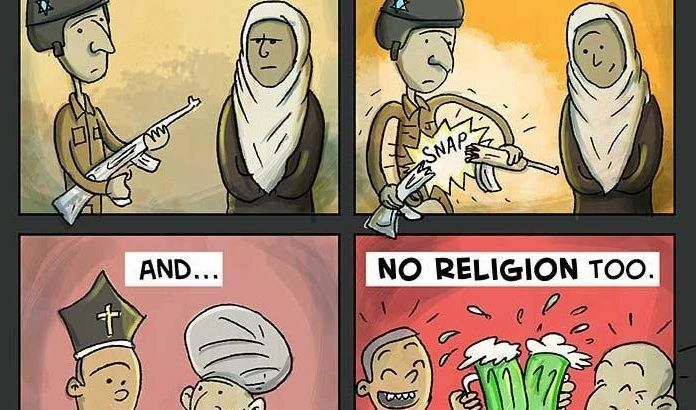 John Lennon’s “Imagine”, made into the best comic strip ever! via John Lennon’s “Imagine”, Made Into A Comic Strip | Spirit Science and Metaphysics.